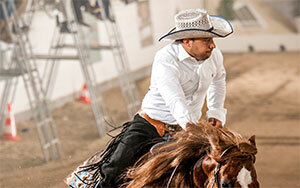 Members of NRHA can participate in over 850 NRHA-approved shows per year in addition to 250 Entry Level events. These shows, national and international in scope, pay out nearly $14 million dollars in prizes with the top prize being over $150,000 for the winner of the NRHA Futurity Open Level 4 class. NRHA shows have a selection of classes designed to provide a level of competition for everyone – from beginning green riders to top professionals. All NRHA shows utilize NRHA-approved judges who have completed comprehensive training and passed rigorous testing before receiving their judge"s privileges. This means that the consistency and fairness of scoring is the same at every show, in every level of competition, in every part of the world. NRHA keeps accurate track of horse and rider earnings. This information is available online to NRHA members only. NRHA supports and manages the NRHA Sire & Dam Program, which makes breedings to top stallions available either through the online auction or on a first come, first serve basis at a discount. Stallions participating in the program are eligible for NRHA Futurity and Derby Sire Awards while Sire & Dam offspring are eligible for reduced entry into the NRHA Futurity and Derby. NRHA has a separate 501(c)3 nonprofit organization, the Reining Horse Foundation (RHF), which is committed to caring for the reining community and honoring the sport"s legacy through scholarships, the Dale Wilkinson Memorial Crisis Fund, and the NRHA Hall of Fame. Reiners care! NRHA provides unique and comprehensive networking opportunities for members to connect with other members, top owners and the best NRHA Professionals in the world. NRHA operates a website for its members which provides current information about all aspects of the sport. Membership includes $10 towards information searches in the database every month. NRHA is organized into affiliate associations who run NRHA-approved shows. Riders compete in these affiliate shows to qualify for affiliate championships in areas including the North America, Europe and Australia. NRHA produces three high-quality NRHA/Markel Futurity Horse Sales annually: the NRHA/Markel Breeders Showcase Sale, the NRHA/Markel Marketplace Sale and the NRHA/Markel Futurity Prospect Sale. NRHA sponsors the Silver Spurs Equine Rookie of the Year program. NRHA features the National Reining Horse Youth Association (NRHyA) program, giving its youth members access to scholarship and leadership development opportunities like the Varsity Reining Club. NRHA hosts a Collegiate Judging Contest, Collegiate Reining Championships and High School Reining Championships each year. NRHA sponsors the Varsity Equestrian National Championship, Intercollegiate Horse Show Association and the American Youth Horse Council. 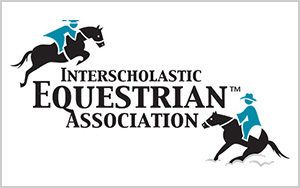 NRHA sponsors and helps produce the Interscholastic Equestrian Association Western National Finals held in conjunction with the NRHA Derby. NRHA and John Deere are excited to announce a new and enhanced partnership that will give NRHA members special access to John Deere’s GreenFleet Loyalty Program. Members can receive preferred pricing on John Deere equipment, paint with Sherwin-Williams, and office supplies with Office Depot. For more information, call 866-678-4288 to receive your NRHA discounts. 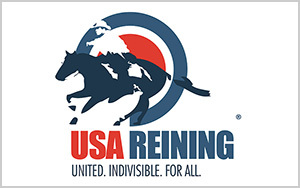 Since 1980, the NRHA Reiner magazine has been the source on all things Reining. The Reiner is the official publication of the NRHA and as such covers all aspects of the association"s activities from local Affiliate events, to the prestigious NRHA Futurity and Derby, to worldwide international competitions such as the NRHA European Futurity and Derby. Each month, the publication offers inside information on the owners, breeders, professionals and non pros involved with the sport as well as educational and historical information. It is a “must” for performance horse enthusiasts from all disciplines. Subscriptions are free to members (U.S. 3rd Class postage, one per household. Additional postage applies for Canada and International Reiner delivery. 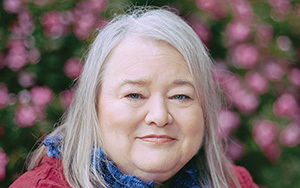 Life members after 2004 are required to pay a member subscription fee. Additional postage may apply.). To subscribe to the NRHA Reiner, fill out a subscription card here or call the NRHA offices at 405-946-7400. You can also view current and back issues of the magazine for free online via the Digital Reiner. If you're looking for official NRHA shirts, hats, jackets and more, NRHA Outfitters is the place to go. They have everything branded with the NRHA Logo for men, women and children. Subscribe to the NRHA Newsletter to see the latest offers. 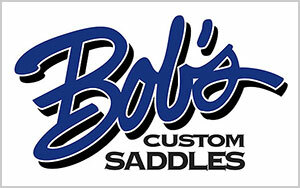 Visit nrhaoutfitters.com for the complete NRHA Outfitters online catalog. Sign up for a new account and join today!